At Showplate.se we are making Show Plates for e.g. Show Cars (thats why it came to the name Showplate). The company behind Showplate.se (Ove Agentur) was founded in 2006 by Uwe Hirsch in Gränna - the hometown of the swedish candy canes. It started with a couple of nameplates to truckdrivers. Today the company is one of the leading brands for embossed metal plates, mainly to motor enthusiasts but also for houseowner and popular for kids in Scandinavia. Showplate.se offers a wide selection of plates and decals with different sizes, colors and plate-accessories. We always striving for good quality and service. You as our customer should always feel safe and satisfied with our products. Contact us by using the form located under contact us or send us an e-mail to info@showplate.se. We always try to respond as quickly as we can. 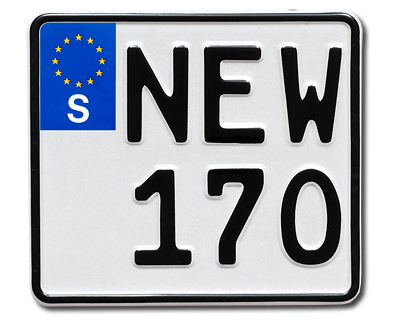 Showplate.se is a registered trade mark.